The general design of the clothes iron hasn’t changed much since the advent of electric irons. But Forma Studio has re-thought the way we press wrinkles out of our clothing with their smart Iron design. 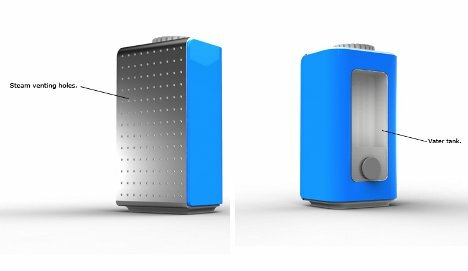 Eschewing the all-too-familiar form factor for a blocky new look, the Iron also gets rid of the most annoying part of the traditional design: the cord. 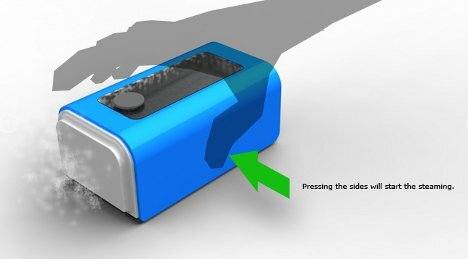 The cordless gadget is also missing the traditional handle, but it does do steam when you squeeze its sides. A selection wheel chooses the right setting for the fabric you’re working with, just like any other iron. And when you’re done, you set the device on its induction charging pad to get ready for next time. 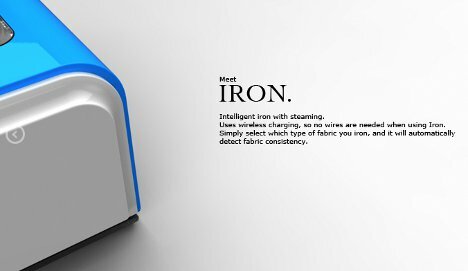 We like the idea of a simplified clothing iron, and the appearance of this concept is pretty stylish. However, traditional irons have the pointed part in front to reach between buttons and into other small spaces. Taking that away in favor of a boxy shape would make it way harder to get all of the wrinkles out of your garments.